Sandalwood(Kannada) is growing potentially good in the Indian movie Industry and it releases around 10 to 15 movies every month. We have been seeing how these movies are attracting non-Kannada people by re-releasing their dubbed version within a couple of month of its release. There is a huge craze for the Kannada movie and people search for Upcoming New Kannada Movies. 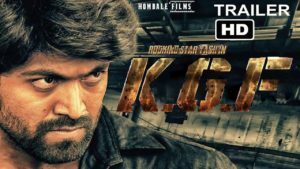 In this post, we are going to see the list of Upcoming New Kannada Movies. Make sure you bookmark this page to stay regularly updated on Kannada new movies. A bunch of movies gets released in Kannada every month and here we have the list of upcoming Kannada movies releasing. Talking about Upcoming new Kannada movies, we have a list of all the movies that are going to release in the month of February. The movie listed below is the upcoming Sandalwood (Kannada) movies releasing this February. Talking about Upcoming new Kannada movies, we have a list of all the movies that are going to release in the month of January. The movie listed below is the upcoming Sandalwood (Kannada) movies releasing this January. Birbal is one of the upcoming new Kannada movies, which is going to hit on the cinemas on 4th January 2019. The movie is totally thrill, action, and drama. It is written and directed by MG Srinivas and produced by Chandrashekar. This movie will feature MG Srinivas, Vineeth Kumar, in the lead role along with Madhusudhan Rao and Suresh Heblikar. Other supportive actors in Birbal are Ravi Bhatt and Arjuna Balarj. In this movie, MG Srinivas is playing an intense role of Advocate Mahesh Das. On the other hand, Saurabh Vaibhav and Saurabh Lokhande have composed music for this movie. Another Upcoming New Kannada movies, Gini Helidia Kathe is a drama movie directed by Nagaraj Uppunda. The movie is scheduled to release on 4th January 2019. The movie starts with Dev Rangabhoomi, Githanjali, and Malathesh played a crucial role in this movie. This movie is produced by V. Devaraj under the Buddha Chitralaya productions. This drama movie has some groovy music which is composed by Hithan Hassan. However, Nagaraj Uppunda has managed cinematography and Ravichandran has done editing for this movie. Fortune is an upcoming Kannada romantic movie directed by Manjunath J Anivaarya and produced by Rajesh Golecha under Gloecha film productions. This movie is scheduled to release on 4th January 2019. While in this movie The Fortuner Sandalwood movie featured Dignath Manchale, Sonu Gowda, Rajesh Nataranga, and Naveen Krishna as lead characters. This movie contains some romantic songs composed by Poornachandra Tejaswi. However, Madhusudhan Maddy and Guruswamy had done cinematographer and editor for this movie. Aduva Gombe is another upcoming new Telugu Movies and is a complete drama movie written and directed by Dore Bhagavan. This movie is going to release on 4th January 2019. The movie starts with Ananth nag who is a coffee planter. Madhava (Sachari Vijay) lost his parents at the age of one and since then he has been living with his elder sister Rukmini (Sudha Belawadi), who later on married to Kishen (Anant Nag). After marriage, Rukmini doesn’t want a baby boy for her own as she loves her brother Madhava and does not want to divide her love. Subsequently, she was blessed with two daughters named as Vasudha(Disha) and Radha (Nirosha). The kids grow up and start working towards their vision of life, what is happening next know the full story on 4th Jan 2019. This movie is the 50th film of director Dore Bhagavan as he is one of the most successful directors of Sandalwood. Another Upcoming New Kannada movies, Randhawa will get its release on 10th January 2019. This movie has a unique story, which is directed by Sunil Acharya and will feature Bhuvann Ponannaa, Jahangir, Yamuna Srinidhi, and Arvind Rau as lead characters. The story of the film is based on Robert who suffers from nightmares. To get rid of nightmares he visits a village ‘Odeyana Samudra’ along with his friend Razzak (Jahangir). In this village, he meets the daughter of village landlord Vasupradha and falls in love with her. Vasupradha and Robert together go to a mission to ascertain the truth behind the nightmare. In his nightmare, he also witnesses that he has been reincarnated and lived his past life as Randhawa. Will Vasupradha and Robert be able to find out about Randhawa? Will, be able to get rid of his nightmare or what is the mystery behind the village Odeyana Samdra? Bazaar is an upcoming Kannada romantic action movie directed by Simple Suni and produced by Thimme Gowda under Bharati Film Productions. This romantic movie is scheduled to release on 11th January 2019. Dhanveer and Aditi Prabhudeva are playing the main lead role in this movie. The story of this movie is based on Kalki (Dhanverrah Gowda) who is passionate about pigeon racing, which leads him to work for a mob boss who shares the same passion. Kalki’s dream is to become a champion in the sport and wants to win the girl heart which he loves. This interesting love story makes suspense and forms the root of the story. Another Upcoming New Kannada movies, Lambodara is directed by K Krishnaraj. This movie is scheduled to release on 18th January 2019. This movie is produced by Vishweshwar and Raghavendra Bhat under the production of Vrishnak Movie Makers. While Karthik Sharma composed some groovy music for this movie. In this movie, Loose Madha yogi and Akansha Gandhi played the lead role. However, the other supported actors are Siddu Moolimani, Achyuth Kumar, and Aruna Balaraj. This will be an intensely romantic story in which Loose Madha yogi spends time idling with his irresponsible friends Kedarnath and Danny. Let’s look further at how the Loose Madha life changes when the girl Nithya arrives in his life. Yaarige Yaaruntu is an upcoming Kannada movie which is going to release on 18th January 2019. This movie is directed by Kiran Govi and will feature Lekha Chandra, Orata Prashanth and kruttika Ravindra as a lead character. This movie is produced under the SLR enterprises. The movie is based on a man which falls in love with three women. A romantic and comedy story of this movie shows a pertinent social message. The music of this movie is composed by B J Bharat. Seetharama Kalyana is an upcoming romantic Kannada movie, which is scheduled to release on 25th January 2019. This movie is directed by Harsha and produced by Anitha Kumaraswamy under Channambika films production. This movie will feature Nikhil Gowda, Madhu Raghunath, Chikkanna and Sadhu Kokila as lead characters. The romantic music in the movie is composed by Anup Rubens. You will witness a romantic love story in this movie, which takes this movie to another level. Kavalu Daar is an upcoming Kannada movie, which is going to releasing on 26th January 2019. 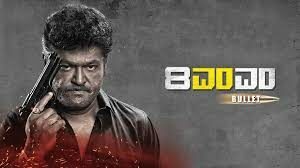 This movie is based on thriller and suspense, directed by Godhi Banna, Sadharna Mykattu, Hemanth Rao jointly produced by Puneeth Rajkumar and Karthik Gowda. In this movie, Rishi is playing a lead role of inspector K.S.Shyam, who investigates an old case. Along with him Anant Nag, Rishi, Achyuta Kumar, Suman Ranganathan and Roshni Prakash are playing a crucial role in this movie. There were some amazing Kannada movies that got released in December 2018. KGF was one of the Kannada movies that got released in 5 Different languages and was a blockbuster movie. Here we will see the list of Kannada Movies that got released in December 2018. KGF is One of the upcoming Action Romantic film directed by Prashanth Neel & we will see Yash & Srinidhi Shetty in leads roles. A period drama narrates the 70s -yr-old records of oppressed waging wars in opposition to their oppressors. Set inside the early 80s, KGF – The first chapter facilities the protagonist who leads the battle towards oppressors. This movie will be releasing on 21st December 2018, near your theatres. 8MM Bullet is an upcoming Action-Drama movie directed by Hari Krishna. Starring by Jaggesh, Vasishta, Simha, Mayuri Kyatari, & Adi Lokesh in lead roles. 8MM Bullet is planned for a released the week of the Diwali festival, on 16th November. 8MM Bullet is the size of a bullet and it says to open to the history of the movie. A normal person, when he has especially by family and friends and dropped & pushed in the wrong direction. becomes a serial killer, money plays a crucial role in this thriller. One of the Upcoming Manasina Mareyali is a Love and entertaining film. Oscar Krishna has directed The film. Shabeena Ara & King Lingaraj are Jointly Produced. It is thrill movie and it has an amazing concept of love. This movie will be releasing on 9th November 2018, near your theatres. Thayige Thakka Maga is an Upcoming Action Drama movie directed by Shashank Talaya. Music is given by Judah Sandhy, Starring by Krishna Ajay Rao & Ashika Ranganath in leads roles. This movie will be releasing on 16th November 2018, near your theatres. Parvathi has an honest Lawyer, along with his short-tempered son Mohandas. Documents a courtroom case against Sharath Kaale, a conceited son of a morally corrupt politician Prakash Kaale. Prakash’s best ambition is to look his son has a successful politician & consequently. The case filed by the way of Parvathi does no longer go down properly with him.